Home » drama » entertainment » review » Dil Kiya Kare Episode 12 - Is Rabia Ready for a New Chapter in Her Life? Dil Kiya Kare Episode 12 - Is Rabia Ready for a New Chapter in Her Life? Is Rabia Ready for a New Chapter in Her Life? This week’s episode of Dil Kiya Kare by 7th Sky Entertainment focuses on the changing dynamics of all the storylines in the show. While Saadi and Aiman are about to enter the next stage of their lives, it appears that Rabia might be starting hers from scratch. As they discover that they are going to be parents soon, happiness and joy surround Saadi and Aiman’s household. Rumeesa, on the other hand, seems to be upset and worried about her daughter, Faryal’s future. This episode revolves mainly around Rabia. Although she is happy with her current circumstances, it seems that a part of her wants to move on and find a life partner. Just when we thought that this might be it for Rabia, a certain someone enters her life! The viewers of Dil Kya Kare were in for a surprise this week, as a new face made an appearance – none other than the famous Sarmad Khoosat! As we are well aware of his tremendous acting skills, we are definitely looking forward to what he brings to the storyline. Sonia Rehman takes the character of Rabia to newer heights with her impressive portrayal of the character. With a very accurate depiction of the dilemma that Rabia faces, her chemistry with Sarmad Khoosat is something we can look forward to in the upcoming episodes. 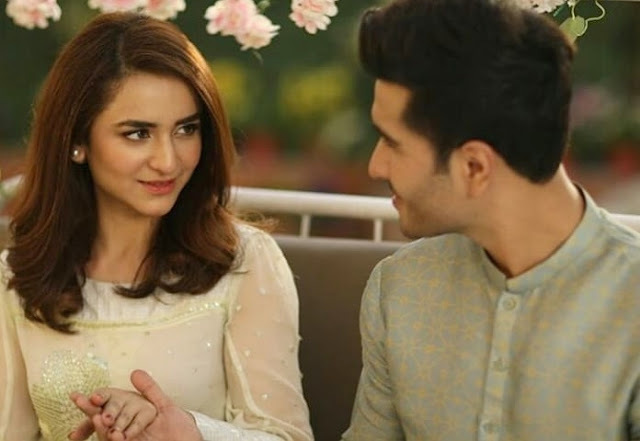 Although the storyline itself is strong and diverse, the power-packed cast including Abid Ali, Feroze Khan, Marina Khan and Shamim Hilaly, makes it a solid form of television drama.